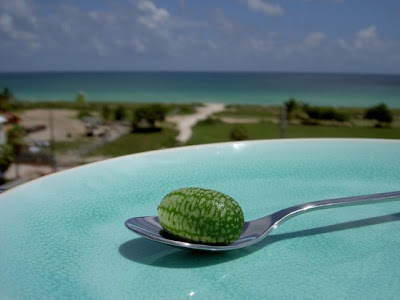 World's Smallest Watermelon Pepquinos, Have you taste this Smallest watermelon ever? This fruit which is called pepquinos was comes from South America. 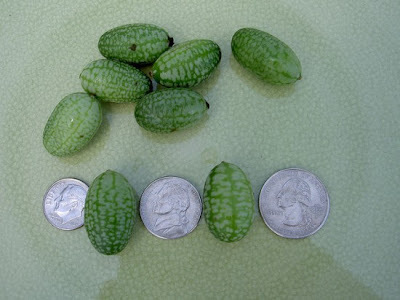 they're just 3-cm-long and 2 cm in diameter, it's really tiny it's 20 times smaller than the regular sizes of the Watermelon, look at the picture on the left. This Pepquinos Watermelon was the very ancient species that originates from South America. 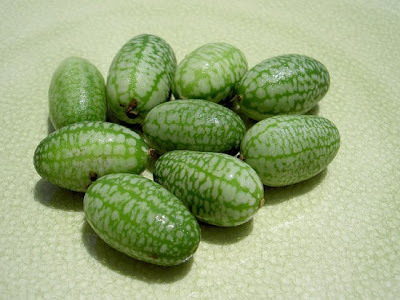 It is basically a ‘micro-cucumber’ that is also very closely related to the melon. apart from their size, they look just like regular watermelons. But only on the outside, because once sliced, the juicy green flesh of a cucumber is revealed. 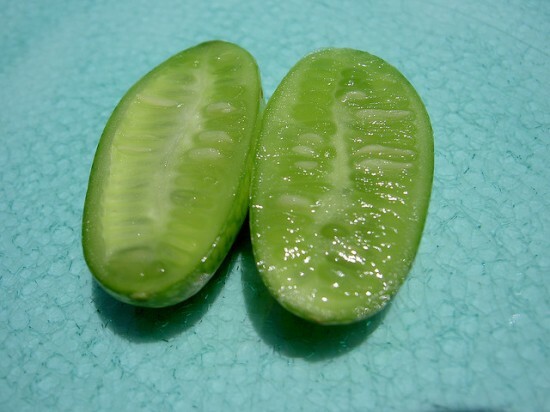 They also have the crisp fresh taste of cucumbers and usually served in luxury restaurants, as appetizers, in summer salads, stir fried and even as a sorbet. The rare Pepquinos were discovered and brought to Europe in 1987, by a Dutch company that later began producing them and selling seeds. They’ve only recently started cultivating them in the US and Asia, but their popularity in foodie communities is growing rapidly. The Pepquino melon is available from April until November.